Swedish official Mohamed Lahyani triggered controversy last month after coming down from his chair to give advice to Kyrgios during his second round game against Pierre-Hugues Herbert. 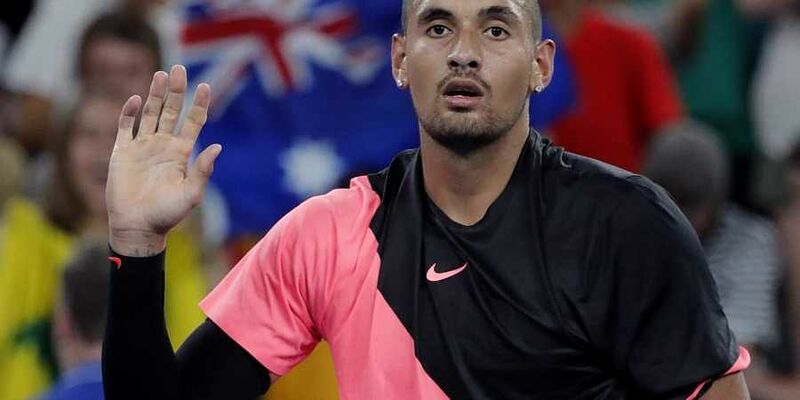 LOS ANGELES: The US Open umpire criticised for giving Australia's Nick Kyrgios a pep talk has been hit with a two-week suspension, reports said. "I want to help you," Lahyani could be heard telling Kyrgios, who was a set and 3-0 down at the time. "This isn't you. I know that. I have seen your matches. You are great for tennis." Kyrgios subsequently captured 19 of the next 25 games, claiming a 4-6, 7-6 (8/6), 6-3, 6-0 win. "The US Open determined that chair umpire Mohamed Lahyani's conduct during Thursday's second-round match involving Nick Kyrgios and Pierre-Hugues Herbert went beyond protocol," a US Open statement said. "Lahyani's actions in the match were deemed to have compromised the impartiality that is required of an official," the ATP was quoted as saying. Lahyani's suspension means he missed the China Open in Beijing and the Rolex Shanghai Masters. "It's not the umpire's role to go down from the chair. But I get what he was trying to do. He behaves the way he behaves," said 20-time major winner Roger Federer.